Hello! Welcome to Native Camp! I'm Raz and I'm here to help you to develop your skills in speaking the English Language. We can make English class very informative at the same time fun! If you're tired of studying... Don't be! I'll make sure that you'll enjoy studying! See you in my class! 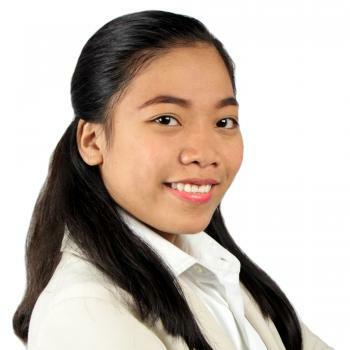 Teacher Raz finished Bachelor of Elementary Education major in General Education specialized in TLE at Cebu Technological University and now a licensed professional teacher. She was a working student during her university years. She likes watching Korean movies, listening to music, reading English books and novels and singing in the karaoke. She experienced teaching in the offline ESL school for a few months and wanted to experience in the field of online teaching. She's optimistic and a good friend to everybody. Teaching is her passion. She strongly believe that the best teachers are those who teach from the heart, not from the book. Her pronunciation is very good! !